I’m rather late with this, but it shows that there is nothing new under the sun! 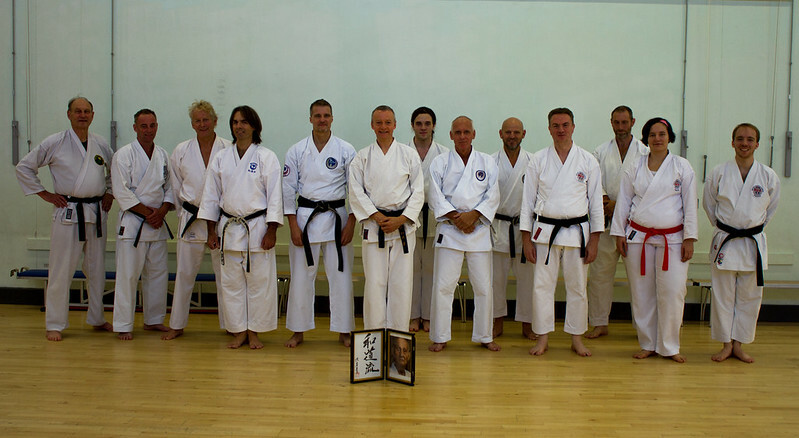 On October 10th 2018, Sensei Gary Swift taught a 3 hour course covering the ‘final’ kata in Wado – Suparenpei. I would like to thank Sensei Ian of Kimesanchin for inviting Zanshin over to compete at their local club kata tournament. With myself and 4 students competing, we managed to walk away with two medals! Congratualtions to Peter Downes 7th Kyu for his 3rd place win, and I was lucky enough (by, I think, 0.1 of a point) to win gold in my category. So I’m a week late posting this, but I wanted to run this update with photos to go along with it. I was invited to participate in KimeSanchin’s yearly kata & kumite tournament. The last time I was at a karate tournament was in 2010, so this was quite the gap to get back into a competition. The tournament, which started at 11am and lasted until 5pm, had kata, team kata, and kumite categories split between juniors and seniors (and a “tag” kumite for the ‘peewee’ categories). Two of Zanshin’s students, father and son, Mark and Daniel Brightey (2nd and 5th kyu respectively) joined me for the kumite categories. I am happy to announce that Daniel Brightey walked away with 3rd place bronze for his category – after being placed in a higher category (he’s 14 and a 5th Kyu, and was pitted against other U16s and yudansha). It was tough but I’m sure he’ll agree well worth the training. Unfortunately Mark and I were not as lucky in our category. We were in the over-18s, 3rd kyu and above category. Next year though, we will do better! which lost me the medal.